The Duden Package includes the following dictionaries: Das große Wörterbuch der deutschen Sprache, Deutsches Universalwörterbuch, Die deutsche Rechtschreibung, Das Synonymwörterbuch, Das Herkunftswörterbuch, Richtiges und gutes Deutsch, Wörterbuch medizinischer Fachbegriffe, Recht A-Z, Das große Fremdwörterbuch, Wirtschaft von A bis Z, Lexikon der Vornamen, Wörterbuch der Abkürzungen, Familiennamen, Das große Wörterbuch der Zitate und Redewendungen, Geographische Namen in Deutschland, Das neue Wörterbuch der Szenesprachen, Wörterbuch der New Economy. 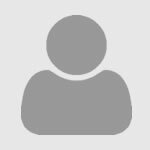 Full text database of German texts. Includes works of major German authors spanning eleven centuries as well as historical, philosophical, theological, political, and art history texts. Collections of essays, speeches, and other non-literary material add context and background material. Goethes Werke contains the complete text of the 143 volumes of the definitive Weimar Edition. 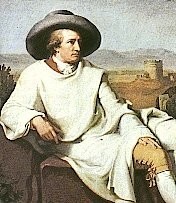 In this database, every word of Goethe's literary and scientific works, his diaries, and his letters from the Weimar Edition is included, as are all illustrations, notes, variants, and indexes from the published volumes. Also included are Goethes Gespräche, edited by Woldemar Freiherr von Biedermann, Leipzig, 1889-96, and Goethes Werke, Nachträge zur Weimarer Ausgabe, edited by Paul Raabe, Munich, 1990. The Nachträge include all Goethe's letters discovered since the Weimar Edition was finished and makes this the most complete collection of Goethe's letters in existence. Electronic version of the definitive Nationalausgabe of Schiller’s works. Click on the link "About Schillers Werke" for completeness information. 151 digitized journals, yearbooks, anthologies, and collected works from the time period of literary expressionism. The database The Diaries of Joseph Goebbels Online contains transcriptions of all handwritten documents from 1923 to July 1941, as well as subsequent writings that were dictated up to 1945. Information about the database can be found in the introductory texts "Notes on the Production of this Edition" as well as the "Introduction to this Collected Edition." It will take a few minutes to download! Digitized version of the Nazi German News Agency's publication. Materials found in Werfel's study at the time of his death. Includes correspondence, manuscripts, clippings and printed materials, pictures, artifacts, periodicals, and books. Microfilm copies of the Arthur Schnitzler Archives from Cambridge. The microfilm includes manuscripts, correspondence, scripts, sketches, a dissertation on Schnitzler, and autobiographical material and documents related to Arthur Schnitzler's father, Johann Schnitzler. Correspondence, audio tapes of lectures, notebooks, literary manuscripts (some unpublished), corrected galleys, books, and periodicals. Leibniz, Gottfried Wilhelm, Freiherr von (1646-1716): Papers, 1646-1716. 35 reels of positive microfilm of more than 100,000 handwritten pages of manuscripts and letters. The originals are at the Lower Saxony State Library, Hanover, Germany. The German part of the collection includes pamphlets, newspapers, books, magazines, pictures, photographs, filmstrips, slides, ephemera, and objects relating to the Nationalsozialistische Deutsche Arbeiter-Partei in Germany. The collection consists of manuscripts and proofs of illustrations, covers, texts, and two books created by Meggendorfer. The strength of the collection resides in English and American publications before 1840, supported by foreign language editions, pop-up and other movable books, and harlequinades—among them more than 100 seventeenth to nineteenth century books in German. PT1101 B471. Major collection of German first editions. The collection is based on the Taschengoedeke edition. More than 15,000 works by almost 2,500 authors. Individual titles of the collection are listed on the UCLA Library catalog. SRLF. Includes over 3000 German, Swiss, and Austrian printed books from the fifteenth and sixteenth centuries. Individual titles of the collection are listed on Melvyl. Cooperative acquisition of UC libraries, the set is held at the UC Berkeley library. Please ask for rolls including items you want through ILL.
PT 1100. G47. Individual titles listed on the UCLA Library catalog. SRLF and YRL PN5203 .D48 2002 Microfiche Contents: Lfg. 1. Deutsches Museum (1851-1867). Telegraph für Deutschland (1837-1848) (fiche 1-274) -- Lfg. 2. Die Gartenlaube (1853-1880) (fiche 275-585) -- Lfg. 3. Berliner Conversations-Blatt (1827-1829). Der Freihafen (1838-1844). Hallische Jahrbücher für deutsche Wissenschaft und Kunst (1838-1844). Königsberger Literatur-Blatt (1841/42-1845). Phönix (1835-1838). Frankfurter Museum (1855-1859). Neues Frankfurter Museum (1861). Weimarer Sonntags-Blatt (1854, 1855-1857). Deutsche Roman-Zeitung (1864-1880) (fiche 586-956) -- Lfg. 4. Das Jahrhundert. Deutsches Magazin. Freya. Orion. Deutsche Warte. Der Salon (fiche 957-1297) -- Lfg. 5. Westermanns Monatshefte (1856-1880) (fiche 1298-1498) -- Lfg. 6. Blätter für literarische Unterhaltung (1826-1850). The German government archive (Bundesarchiv) has microfilmed some two million pages of documents from the German Colonial Office (Reichskolonialamt). CRL, under Reichskolonialamt : Bestand R 1001 / bearbeitet von Michael Hollmann. Online finding aid available through the CRL catalog. Captured German Records Filmed at Berlin. Miscellaneous non-biographic material: "Schumacher material"
Confidential U.S. State Department central files. Germany, 1930-1939 : foreign affairs. Confidential U.S. State Department central files. Germany, 1940-1944 : foreign affairs. Confidential U.S. State Department central files. Germany, 1942-1944 : internal affairs. A clearinghouse of microfilmed newspapers in U.S. libraries. The library holds cd-rom editions of the selected works of a number of other German authors (e.g. Theodor Fontane, Heinrich Heine, E.T.A. Hoffmann, G. E. Lessing, Karl Marx, Friedrich Engels, Kurt Tucholsky, etc.) as well.